Mouthwatering barbecue. Tasty cocktails. Outdoor beer garden. When it comes to dining out, Iron Oak American BBQ in Palm Harbor provides an award-winning barbecue experience. 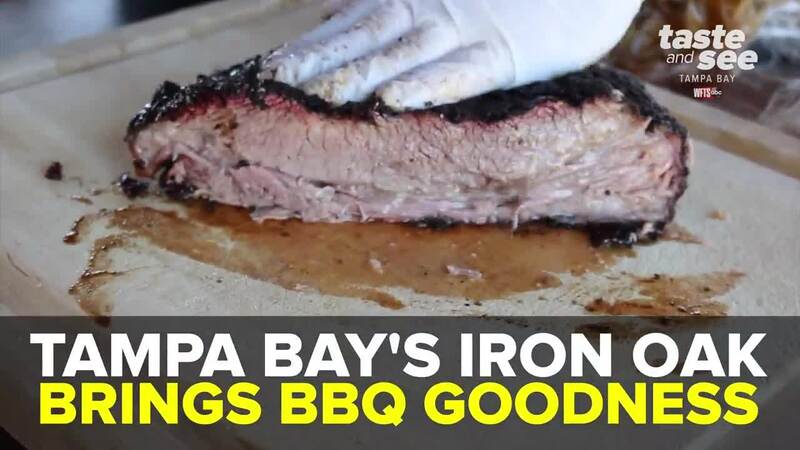 PALM HARBOR, Fla. — Mouthwatering barbecue. Tasty cocktails. Outdoor beer garden. When it comes to dining out, Iron Oak American BBQ in Palm Harbor provides an award-winning barbecue experience. From the brisket and ribs to pulled pork and wings, each plate will hit all sides of your taste buds. Did we mention how juicy the meat is? You won't even need sauce. "We truly pride ourselves on genuine hospitality and making sure our guests taste the difference in our food," said Zachary Feinstein, co-owner of Iron Oak. "Iron Oak uses BBQ from all over the country and we brought it to one central location, right here in Palm Harbor." And they mean that. Texas-style brisket. North Carolina pulled pork. Kansas City burnt ends. The list goes on and on. Now for cocktails, we recommend the Honey Bourbon Lemonade Slush. It's dangerously delicious. Make sure to swing by the shaded beer garden to sip your drink! The outdoor green space is the perfect place to relax and enjoy the day with friends and family. "Iron Oak is a family-friendly environment," said Christina Feinstein, Iron Oak co-owner. "If you're wanting great barbecue or some cool drinks, we have something for everybody." Iron Oak American BBQ is located at 917 11th Street, Palm Harbor.